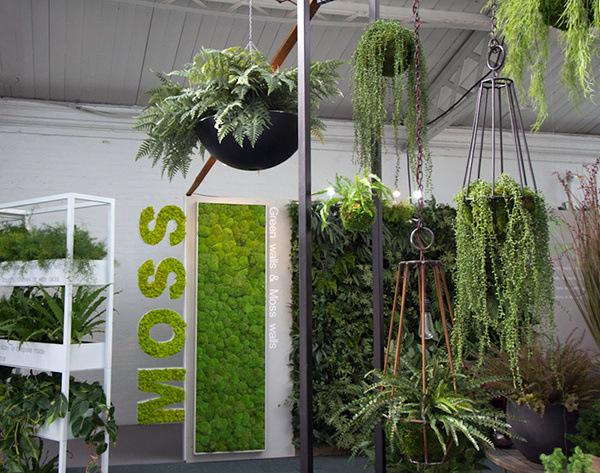 Bright Green at 100% Design. 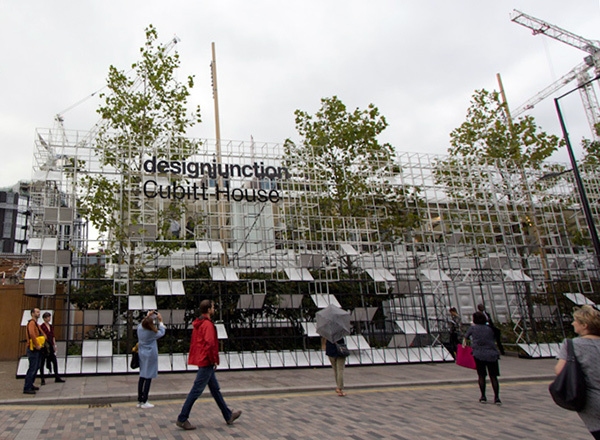 With Designjunction making the move to Kings Cross this year, the new venue featured this green installation of Cubitt House designed by Satellite Architects and Icons of Denmark featuring the Grid cubes of Peter J. Lassen. 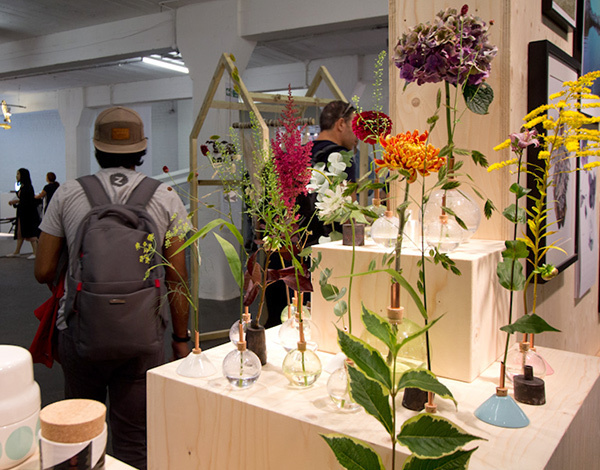 Delicate vases from Scandinavia Form at Nordic Fresh. 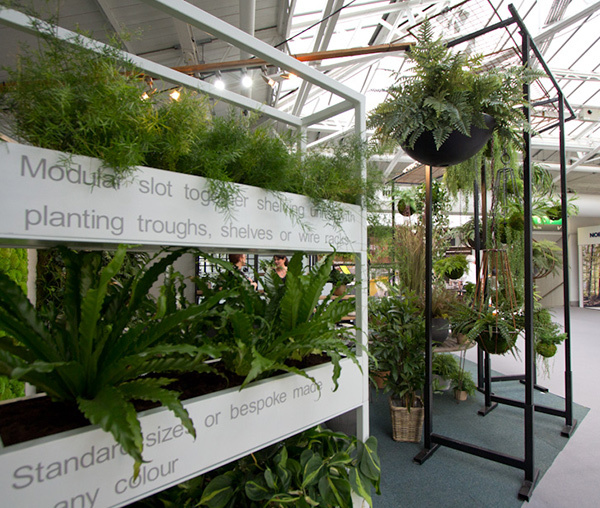 Love these self-contained indoor plants from Pikaplant. 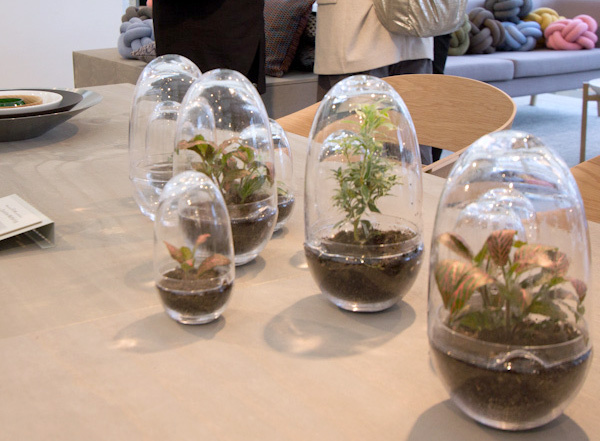 The jars don’t need watering as the plants inside have everything they need. 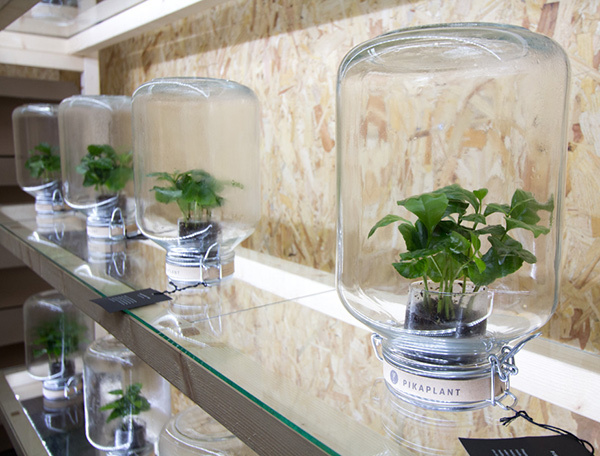 The coffee plants look gorgeous and healthy inside too and some have been thriving for years. 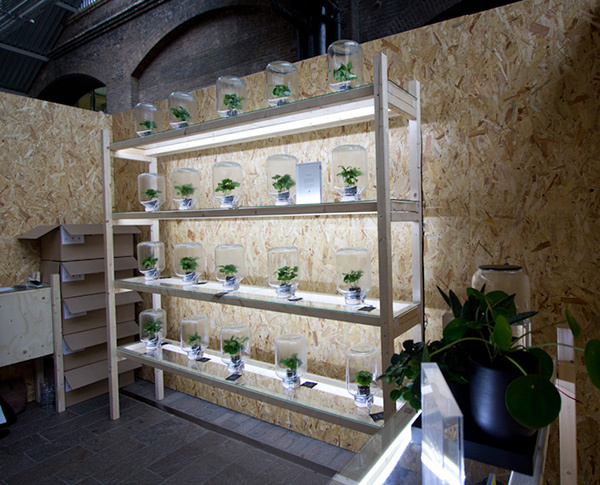 Grow Greenhouses by Caroline Wetterling at Design House Stockholm. 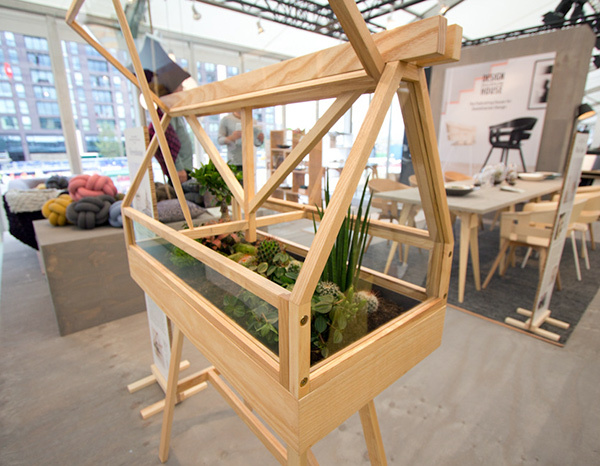 Love the tiny spout on the dome that lets you use the dome as a watering can. 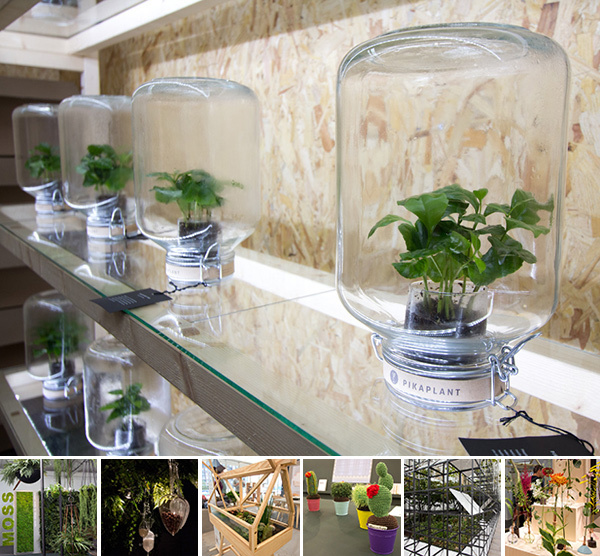 The Greenhouse by Atelier 2+ at Design House Stockholm. 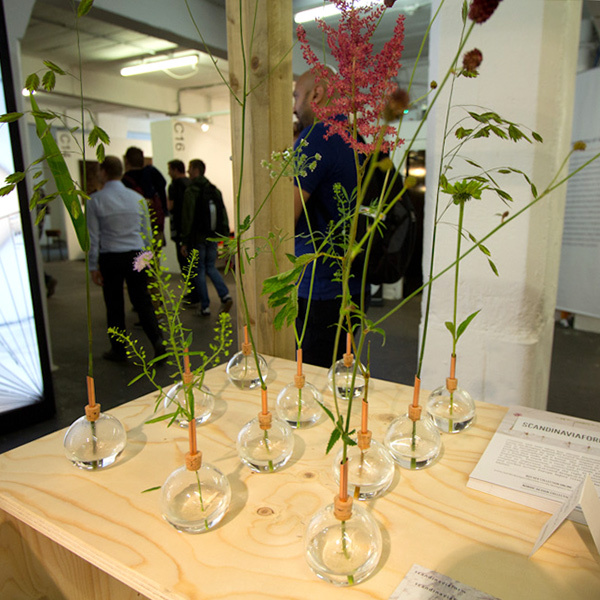 Nature Lab from the Crafts Council and The New Craftsmen at the London Design Fair’s British Craft Pavilion. 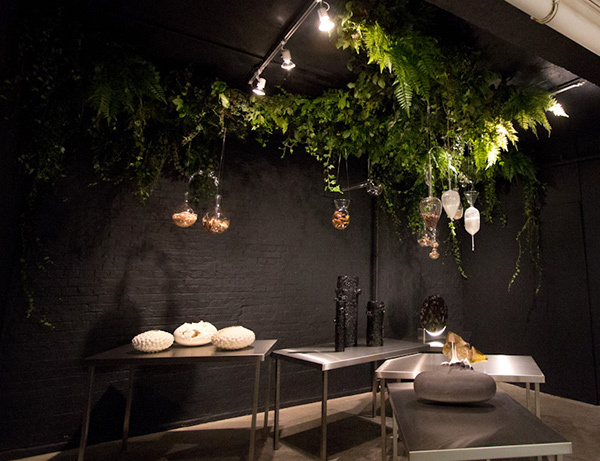 Beautiful naturally inspired works by Eleanor Lakelin, Emily Gardiner, Jochen Holz, Joseph Harrington, Marcin Rusak, and Marl�ne Huissoud. 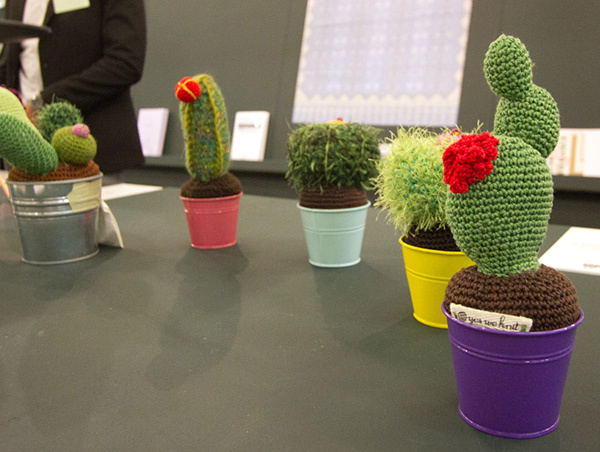 Knitted cacti from Yes We Knit. 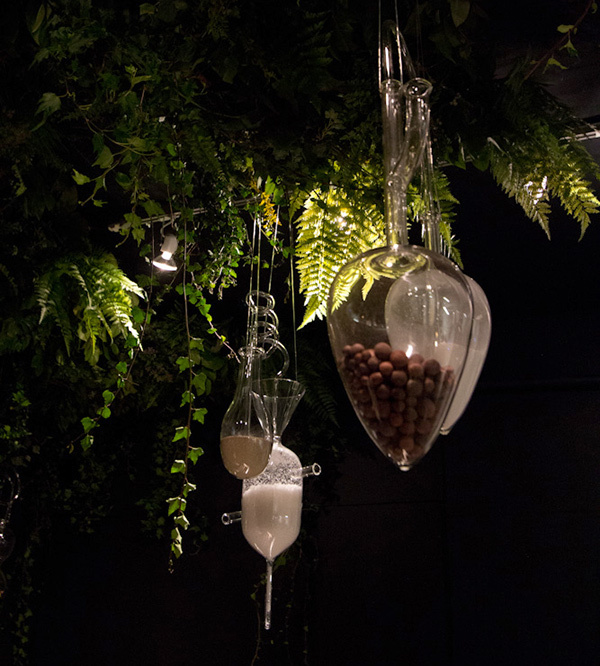 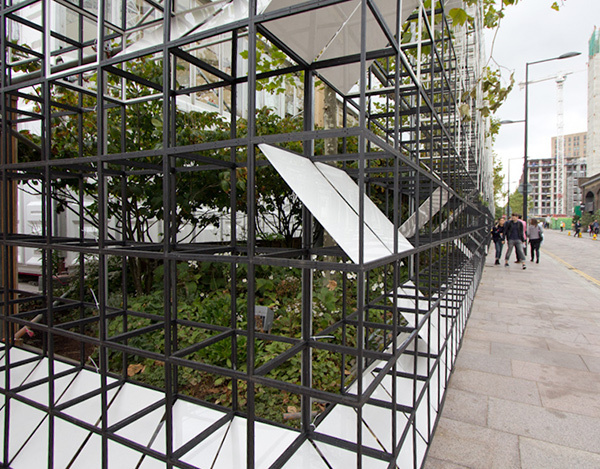 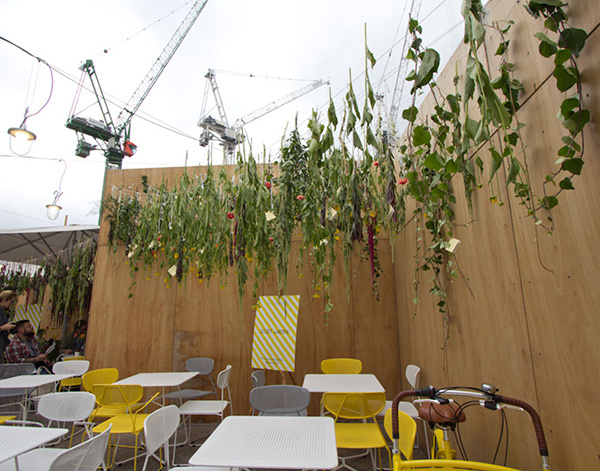 The Bloomon secret garden at the London Design Fair. 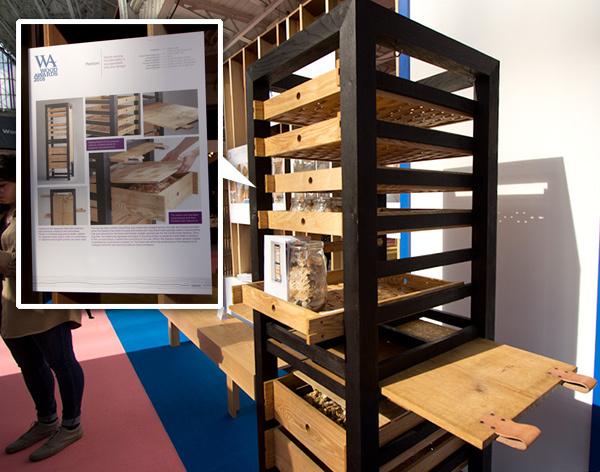 Pandori, a pantry larder designed by Steph Leake and created by Jack Badger for creperie Nojo. 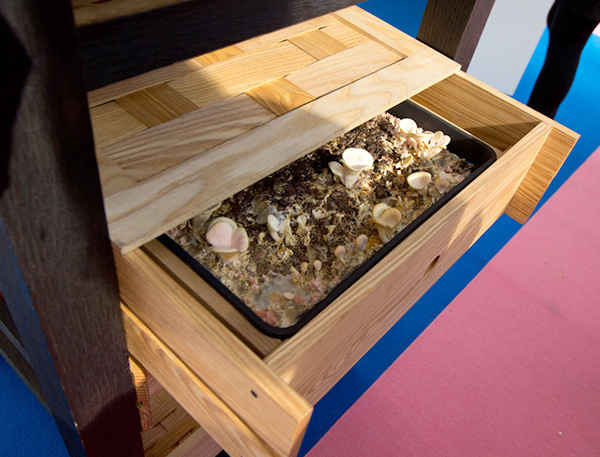 The design combines Japanese and English joinery techniques and even includes a drawer for growing pink oyster mushrooms.